Times when it’s cold, and the forecasters predict that later today it will progressively get colder, because there’s this evil thing called a COLD FRONT and it’s headed this direction and some time — some foreboding time later this afternoon — it’s going to actually start feeling a little bit like winter, and even though it’s already mid February, which means I’ve had months to prepare for this, I realize I’m still not prepared and I feel like it would probably be best for everyone if I just stayed snug under my 35″ high covers until April. That’s right, we’re still sleeping in the guest room, in case you were wondering. The progress on our bedroom is slow, and not very steady, but I promise you there is progress, even though it occasionally/all-of-the-time gets hindered by wine by the fire and new episodes of Revenge and me spilling baseboard paint on the carpet. Yes, I will tell you about that little fiasco one day soon, when I’m ready to share some more positive progress. But anyway. Not only do I have the overwhelming urge to hibernate this time of year, but I also reminisce. I reminisce on happy times of yore, like just 4 months ago when it was pleasant and warm and sunshiny — when I could wake up with the bright morning rays, stand outside in all of my barefooted glory, sip my coffee and stretch to greet the world. Nearly 4 months ago, on the weekend of my 29th birthday, we did something we should probably be doing a lot more frequently. The concept is simple. I’ve heard it called “taking a ‘staycation,'” in which the participants are traveling, but not, because they’re staying at home. But I don’t really like those cutesy terms people come up with to make a concept stick — like “Brangelina” or “frenemy” because they make me feel lazy, so really. I’ll call it what it was. It was a day trip. Something fun we could do without the cost of booking a hotel or packing camping gear or sleeping in the car. It sounds like we’re taking all of the fun out of travel. But hear me out. See, with my unending itch to explore and discover and be moving all of the time and Justin’s desire to… well… not, we discovered this extremely enjoyable and compatible compromise that earned us at least 2 weeks worth of patting ourselves on the back for how awesome we sometimes are at being married. 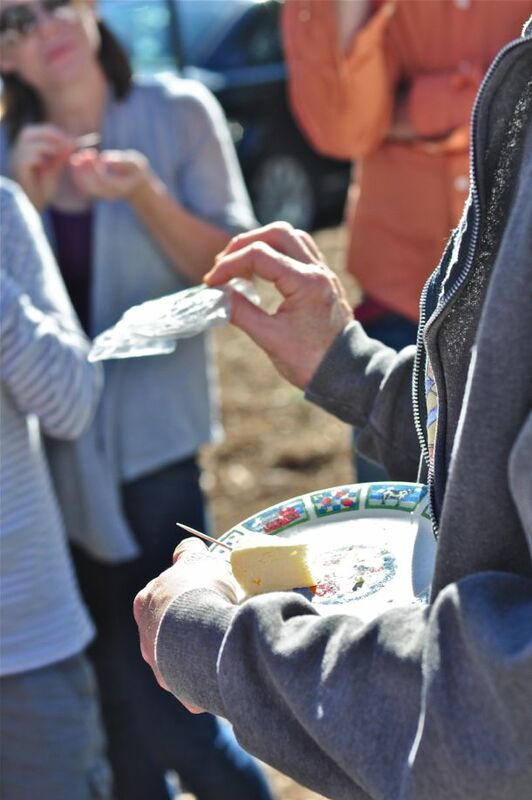 We both love trying new foods, so when I heard about gourmet food tours by Taste Carolina, I knew exactly what I wanted for my birthday. 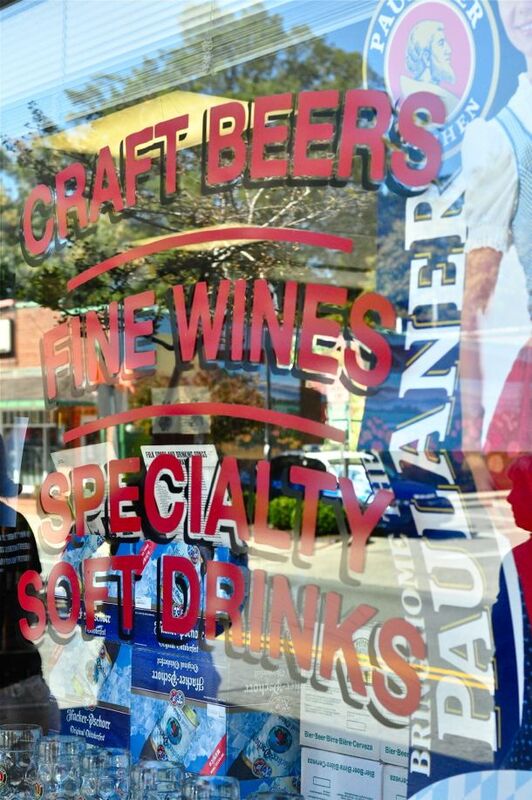 We opted for the walking tour of Chapel Hill and Carrboro, which is about an hour and a half from where we live, for $44.98 per person, which earned us over 3 hours and 8 stops at amazing, locally owned eateries. That’s less than we would’ve spent on a “fancy” night out at our local Red Lobster. 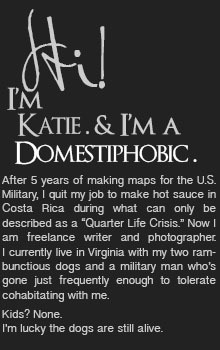 Now this is where I’m a bad blogger. Bad. I actually managed to take many pictures this time, so no worries there, but notes? None. I didn’t expect to wait 4 months before blogging about it. So, sadly, I don’t remember many of the details about what we ate, but I will try my best to explain and then let the pictures speak for themselves. On the left, we have what I believe to be some type of homemade pastrami with mustard. 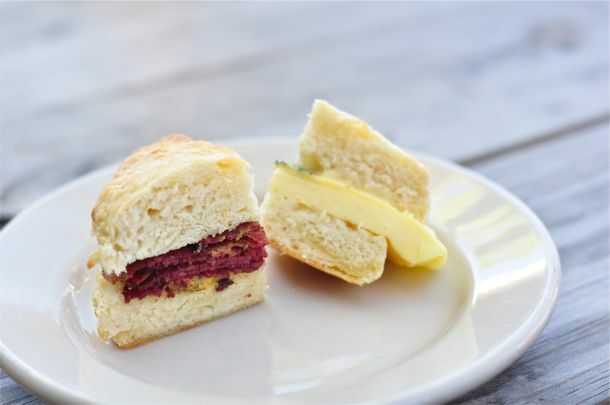 The beef was unlike anything I’ve ever tasted — full of pressed spices and divine on the homemade buttermilk biscuit. 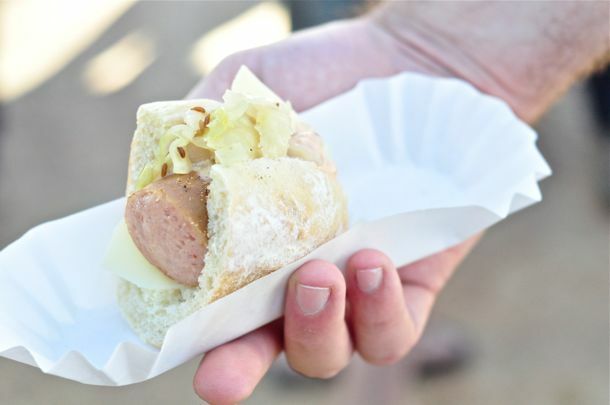 The other was some type of egg and cheese, with a buttery, melty consistency that made me want to eat one of these every morning for the rest of my life. It made me very, very glad that I don’t pass Neal’s on my way to work. 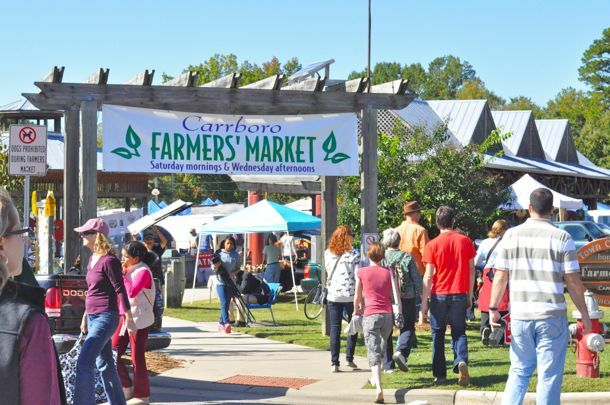 Next, we headed to the renowned Carrboro Farmers’ Market, established in 1996. 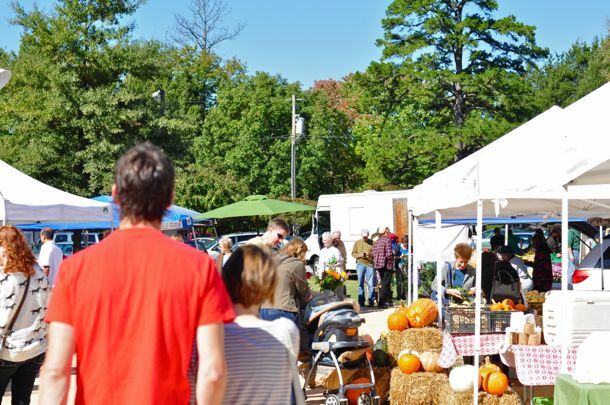 It’s held every Wednesday and Saturday morning in the “town commons” (no joke), and it felt like stepping into a type of fairy land filled with fresh produce, vibrant blooms, hand-made crafts, and local meats, cheeses, and an impressive variety of gourmet delicacies. My favorite was their Dairyland Farmer’s Cheese, which was very simple, creamy, and would probably taste delicious melted over some frijoles negros and tucked inside a burrito. 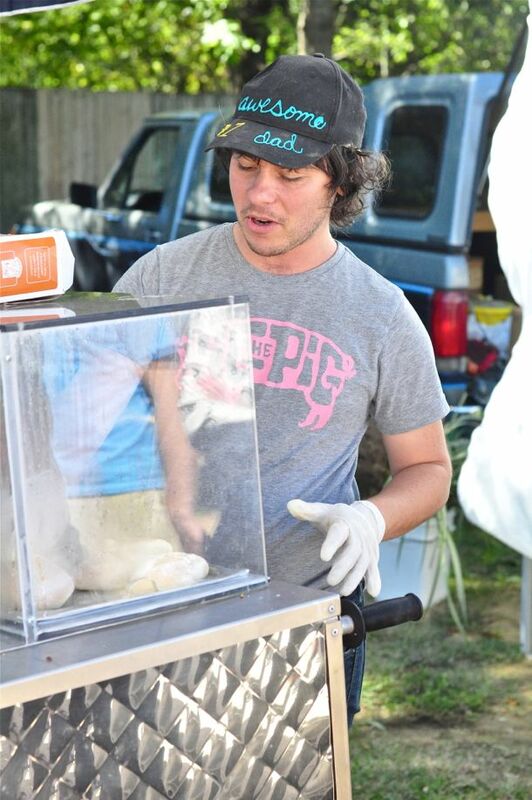 Next, we were treated to a very generous sample from The Pig, a restaurant with a booth at the market serving up fresh grilled pork franks made from local, hormone and antibiotic free piggies. They say you can taste the difference between real meat and the kind you buy discount packaged at the grocery store, and now I’m convinced. You can. 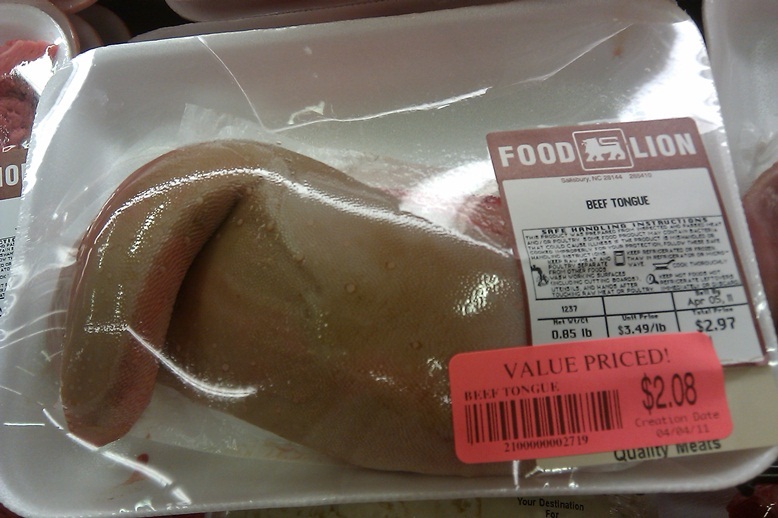 I’m pretty sure if I were going to buy tongue, it would NOT be from my neighborhood Food Lion. 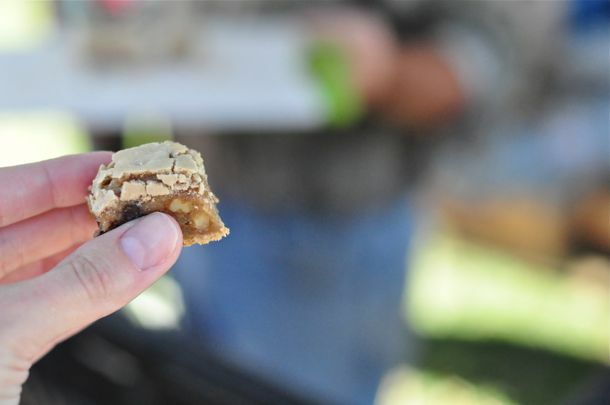 Our last stop at the market was at that of the fantabulous Alfred De La Houssaye’s Sweetwater Pecan Orchard. 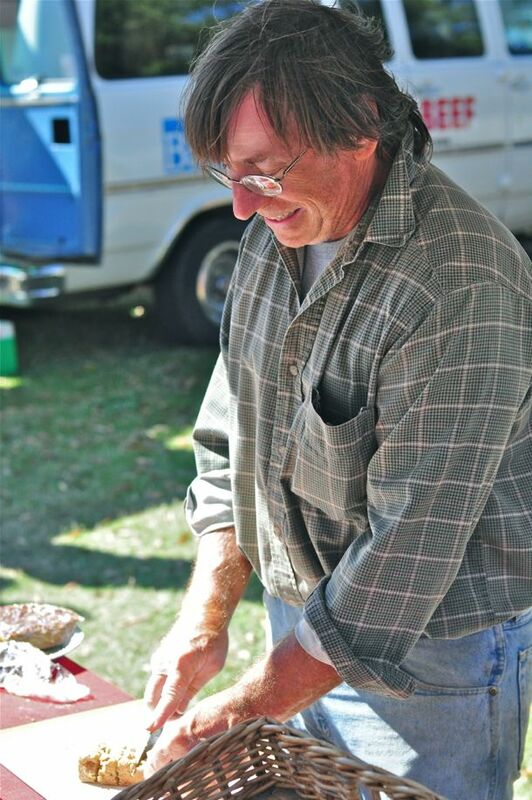 If I remember correctly, he started the orchard because he loves pecans and he loves oriental persimmons. Ignoring the fact that everyone told him he would not be able to successfully grow those things here, he managed to do so and to do so quite successfully. And I love him because he insists that the correct pronunciation of the nut is pecaaahn, with a soft “a” and not the harsh, biting hard A that so many southerners use. And also because he makes these chocolate pecan chewies, which I couldn’t stop eating. And also because he gave us each a slice of pie to take to our next stop, the Carrboro Beverage Company. But this post is getting a little long, methinks, so I’m going to save the second half of the tour for next time. Oh, but trust me. It’s worth the wait. There’s more! Click HERE for Part 2. What a fabulous birthday celebration. I want someone in my city to come up with a tour like this! 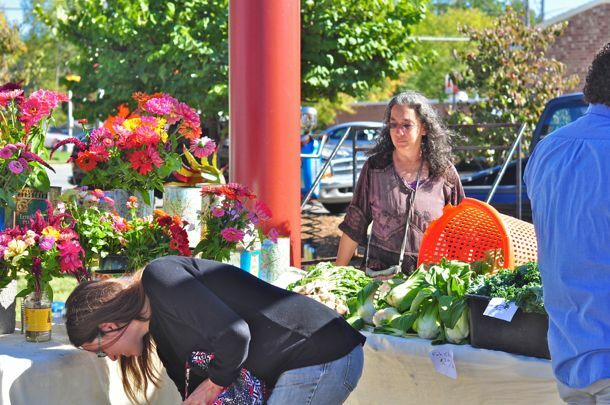 Walking around trying good food all day wow that sounds like a fun thing to do on your birthday and seems you had great weather for it..
Sun and food and flowers and an open farmers’ market… I’m jealous! It was our usual gray and cold Feb. day here. Outside was not a welcoming place. 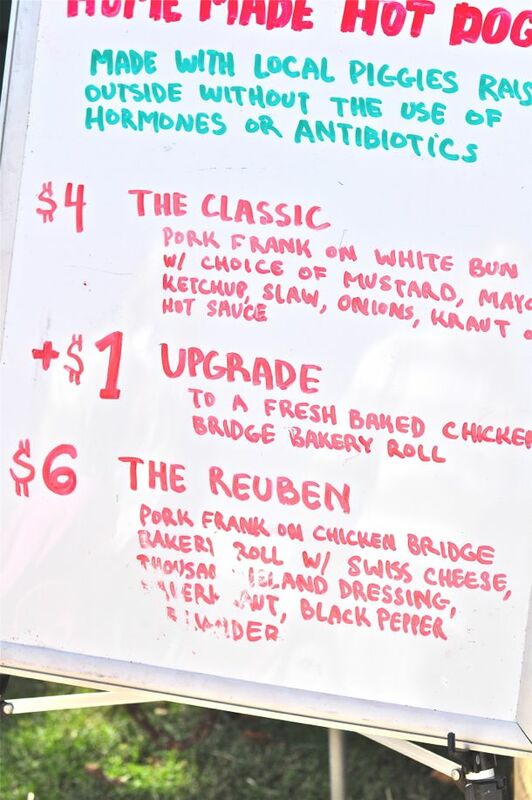 The Reuben Dog looks wonderful, and “Chapel Hill Creamery” just sounds like it has delicious, rich, and awesomely genuine and fresh dairy everything. They both were really delicious!! I downloaded the app — thank you!! Now if I could just figure out how to tie in the photos I take with my DSLR to that… but it will be PERFECT for notes and pics I take with my phone! Haha, and it’s good to know that I’m not the only one taking pics of my food, either — I know it embarrasses Justin, but hey — a great meal has to be remembered! Neal’s Deli is one of my favorite treasures in Orange County. Did you happen to ask them why their food tastes the way it does? 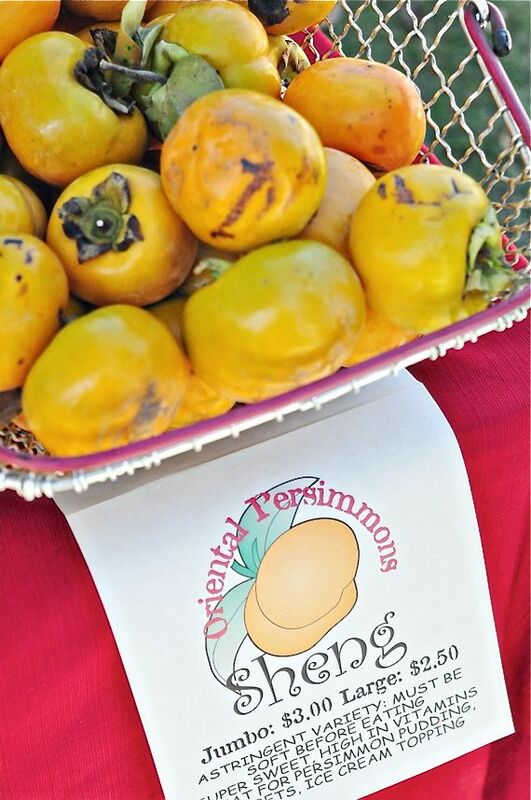 Just to update you in case you didn’t — everything they serve is 100% fresh and local. I mean really fresh. Like if you get there 30 minutes before they open you’ll see some of their suppliers coming up with baskets of eggs and sausage and freshly ground flour from local farms. They’ll even tell you exactly where they get their supplies from because they’re happy to share the wealth — all of the farms that supply them sell to the general public, and they are 100% natural without any hormones or processing. They did tell us that — in fact, most of the places where we tasted said the same thing. It was amazing!